OrthAlign, Inc., a privately held U.S. based medical device and technology company, announced today that it exceeded its total 2014 sales forecasts, growing by more than 46% versus 2013. Additionally, OrthAlign technology reached another major milestone by completing its 25,000th KneeAlign® Total Knee Arthroplasty (TKA) case. “OrthAlign is well-positioned to build on this momentum and continue its expansion in 2015,” said William E. Maya, OrthAlign's Chief Executive Officer. OrthAlign, Inc., a privately held U.S. based medical device and technology company, announced today that it exceeded its total 2014 sales forecasts, growing by more than 46% versus 2013. OrthAlign has exceeded sales forecasts for the past two years. Additionally, OrthAlign technology reached another major milestone by completing its 25,000th KneeAlign® Total Knee Arthroplasty (TKA) case. This milestone reflects the continuing and rapid embrace of OrthAlign’s precision alignment technology, by surgeons throughout the world. KneeAlign provides precise tibial and femoral alignment technology in a simple, palm-sized, single-use device and is compatible with all implant systems. It is highly accurate for overall mechanical, tibial, and femoral component alignment in TKA and compares favorably to large-console Computer Assisted Surgery (CAS) systems. "River Cities made an investment in OrthAlign because it recognized the promise in the company’s technology platform, the strong leadership team in place, and the impressive growth of the business over the past several years,” said Carter McNabb, River Cities Managing Director. “We are pleased with OrthAlign’s performance in 2014 and we look forward to an even more successful year to come, as the company continues to equip surgeons with the tools and information necessary to deliver their patients the highest quality care and consistency every time they operate." 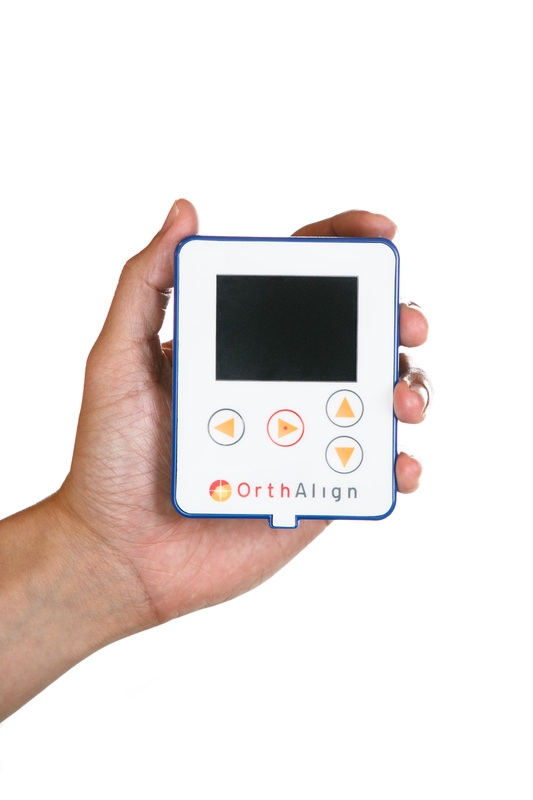 OrthAlign is a privately held medical device and technology company, committed to providing orthopedic surgeons with cutting edge, user-friendly, surgical navigation products for precise alignment and positioning. We believe that our technology will raise the standard of care in Total Knee and Total Hip Arthroplasty surgeries by making consistent and measurable results accessible to all surgeons, hospitals, and patients. Our strategy is to leverage this technology to provide simple and precision-driven solutions for a broad range of orthopedic procedures. For more information regarding OrthAlign, please visit http://www.orthalign.com.